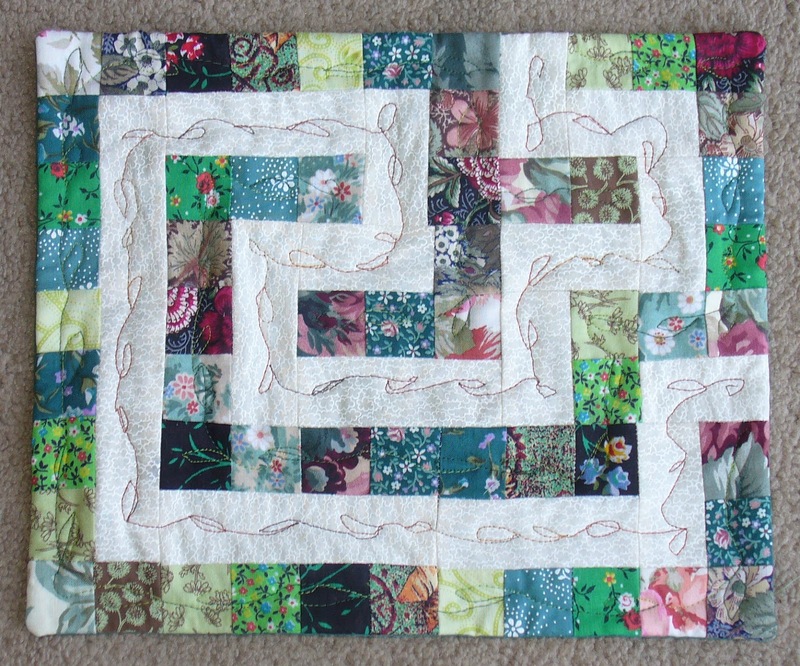 I have just finished my first ever attempt at Free Motion Quilting. After a few attempts that didn't work, because apparently I wasn't moving my fabric correctly, it is done! Messy, but done. I have made an almost-maze mug rug - in that it isn't a maze, since it is a single path with no branches. I quilted leaves on a vine in variegated thread, which is my new obsession. I have purchased at least 6 spools of it in the last month. Also, I finished it! Its been sitting waiting for quilting for at least 3 weeks, and I finally felt like finishing it yesterday. Happy Mother's Day all you moms out there. Have a good weekend! Wonderful! Way to go! So glad you linked up to TGIFF!, Danielle!